"Kate and Rudo are both exceptional photographers. Their professionalism, kindness and passion for what they do was evident from the moment we met them. They were presented with a challenging day of shooting at our wedding as we had very limited time for photographs and our venue was a museum with very dim and difficult lighting. To say they exceeded our expectations would be an understatement. The images they captured on our wedding day were not only creative and beautiful but captured every moment of a day that was so important to us. We feel honoured to have had them not only shoot our wedding but be a part of the day. They put everyone in our bridal party at ease which resulted in very natural photographs. We would recommend Sweetheart Empire to anyone looking for stunning wedding photos and a professional team who work very well together and are very knowledgeable in their field. 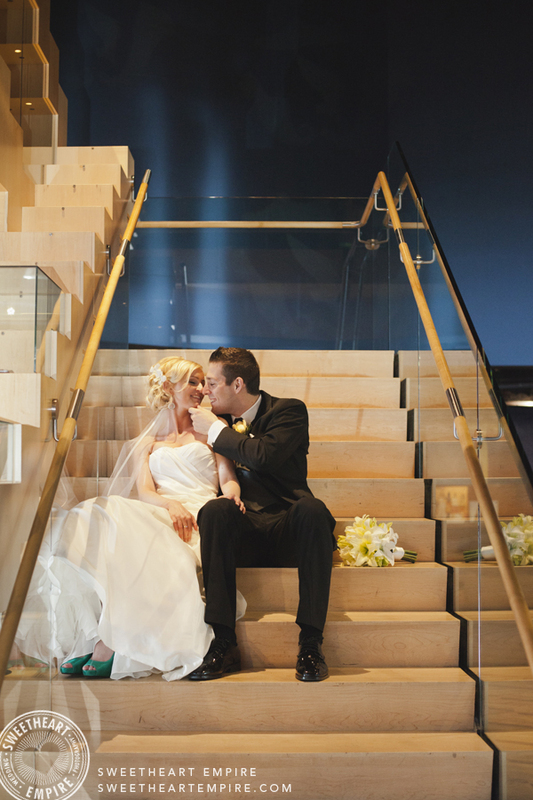 Click here to see photos from Sarah & Pierre's awesome wedding at the Bata Shoe Museum in Toronto!